Samsung might be gearing up to leave the notorious Note 7 debacle behind with the release of its new Galaxy S8 flagship, but it seems the company is not quite done dealing with fire. Channel News Asia reports a Samsung Experience Store in Singapore has caught flames in the early hours of Tuesday morning on March 28. The incident occurred in a shopping mall in the North-East part of the country, causing surrounding shops to temporarily close doors for safety reasons. 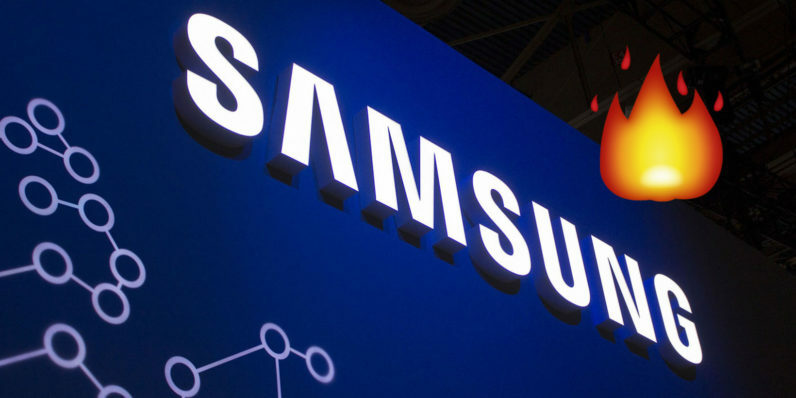 In a statement released in the aftermath of the fire, Samsung said the situation has since been resolved and that no customers or employees have been injured as a result of the incident. Unfortunately, it remains unclear what caused the fire. “We are currently assessing the property damage and working closely with the authorities to determine the cause of the fire. The store will remain temporarily closed during this period. We sincerely regret any inconvenience caused,” Samsung commented. According to the report, the fire was swiftly put out by the mall’s sprinkler system and water jets operated by local civil defence forces. Last year, Samsung was embroiled in a highly publicized fire hazard disaster, which ultimately led to the discontinuation of its Galaxy Note 7 flagship following a string of explosions. The company eventually took out full-page ads in several major newspapers in an attempt to restore consumer trust with a heart-felt apology. The company is slated to unveil its new Galaxy S8 flagship device tomorrow on March 29 – hopefully without any unexpected fireworks.